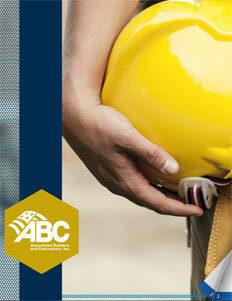 ABC helps members deliver work safely, ethically and profitably. Over the past 65 years, Associated Builders and Contractors (ABC) has grown from seven contractors to the nation’s leading advocate for the merit shop construction industry with nearly 21,000 member firms and 70 chapters. Using the merit shop philosophy as a base, ABC has made great strides in supporting its members as they develop people, win work and deliver that work safely, ethically and profitably for the betterment of the communities within which they work. For ABC members, the merit shop philosophy is at the core of everything they do. The philosophy is based on supporting an environment of free enterprise and open competition that awards contracts based on merit. Working merit shop means delivering safe, high quality, high value projects and rewarding individual performance. It also means increasing productivity by training craftworkers and using technology and innovative techniques to improve project delivery. This philosophy serves as the foundation for how ABC works for its members and how its members work for their clients. As the industry faces a 1.6 million worker shortage by 2022, ABC is working to address the skills shortage. ABC chapters have more than 1,000 training centers and affiliates, train in excess of 71,000 students and spend more than $29 million annually. ABC members take training efforts even farther, spending more than $750 million to train craft professionals—23 percent of which are veterans, which supports ABC’s pledge along with other construction industry leader to employ 100,000 veterans in the next five years. These training efforts by ABC members and chapters helps participants become more productive, innovative and skilled workers. To honor the top trainees, ABC hosts its annual National Craft Championships competition that allows craft trainees to compete for gold medals in 11 crafts. The National Craft Championships includes over 200 competitors and showcases team competitions, a safety award and multi-discipline prefabrication demonstration projects. In addition, ABC holds a competition for construction management students and recognizes the top craft instructor and craft professional of the year to showcase the best the industry has to offer. To fund all of these important initiatives, ABC began the Trimmer Construction Education Foundation (TCEF), which is a non-profit charitable organization that helps ABC and its members attract, train and retain workers. TCEF provides grants to expand training facilities, and helps promote a safe, skilled and diverse workforce. In 2014, TCEF announced a partnership with NCCER to offer $100,000 in scholarships from NCCER over the next five years to people interested in completing craft training through an NCCER-accredited program or a state or federally approved apprenticeship program. As part of efforts to ensure a bright future for the industry, ABC also offers a Young Professionals Program to create opportunities for young leaders. Throughout its history, ABC has advocated for policies that help preserve a merit shop environment so our members can excel. Specifically, ABC focuses on policies that create the conditions for innovation and productivity and that guarantee fair and open competition on construction projects. By the end of 2014, 21 states had government neutrality policies in place that allow ABC members and merit shop contractors the right to bid on more than $60 billion worth of taxpayer-funded construction. On a federal level, ABC’s efforts led to 1,024 out of 1,034 large-scale projects from FY 2009-2013 to be bid without clauses restricting open competition and ABC members were directly hired to build $40 billion worth of large-scale federal contracts. 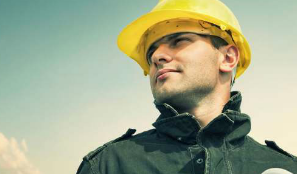 One of ABC’s most important goals is to help members create incident-free jobsites. ABC’s Safety Training Evaluation Process (STEP) provides a benchmark for members to evaluate their safety programs against their peers in an effort to continue to develop world-class safety practices. STEP participants boast a total recordable incidence rate 51 percent below the Bureau of Labor Statistics average—and the top STEP levels, Platinum and Diamond, are even lower. Before achieving any STEP level, members must take the pledge for a drug- and alcohol-free workplace at drugfreeconstruction.org. This industry effort launched by an ABC-led coalition aims to address the issue that up to one third of all workplace incidents are drug- and alcohol-related. For STEP participants looking to take their programs to the next level, ABC offers STEP Plus, which is a three-year transformative journey from best-in class safety to world-class safety. STEP participants also can apply to become an Accredited Quality Contractor (AQC), a program that represents members that display outstanding commitment to community responsibility, best-in-class safety, best-in-class training, valuing employees and high quality. One reason members join ABC is so ABC can be their voice in shaping key regulations and legislation. As a member-run association, ABC listens carefully to the feedback of its committees and board of directors about which rules and regulations they are concerned about and then communicates those concerns and solutions to the correct officials. Regardless of the outcome, ABC makes sure its members are kept up to date on the progress of these regulations and changes that could impact their businesses. ABC saved members $26 million through its Member Discount Program in 2014, but that is only one way ABC positively impacted their bottom lines. A profitable company also must increase the productivity of their workforce, make sure their customers understand the value they provide and ensure a diverse workforce. In 2014, ABC launched Project Virtual that offers contractor-specific BIM training, in addition to providing discounts and guides for members to gauge where they rank. 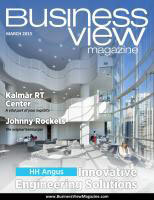 But that is only one component in the strategic approach to improving productivity. Focused on the key areas of project origination and planning, coordination and workflow, and construction crew production, ABC also is working toward support for collaborative delivery methods, safety management, specialized training, modular construction, prefabrication, 3D printing, production training, research, craft professional training and health and wellness. ABC also hosts an Industrial Users Summit that brings together construction users and contractors to discuss industry safety, quality and workforce issues that affect the way projects are planned and delivered. ABC members demonstrate how merit shop contractors deliver value to customers and get an opportunity to understand what owners need during the planning and delivery phase. During the Inter-Industry Alliance dinner, ABC members and industry stakeholders discuss where the industry is headed and develop action items around the key areas of safety, workforce development, industry productivity and innovation. ABC began work on its Diversity Resource Groups in 2014 that will help recruit members, build partnerships with communities, enhance workplace productivity and innovation and increase diversity and inclusion awareness through the industry. ABC is proud to claim members that truly build their communities. From schools, hospitals, churches, grocery stores and malls to factories, bridges, and roads, ABC members build the structures where their families, neighbors and employees live, play and work. In addition, they take pride in creating jobs for members of their communities. In 2014, ABC members built more than $7.3 billion in award-winning construction projects while providing great careers for hundreds of thousands of workers. As ABC celebrates its 65th year in 2015, the association looks forward to another 65 of supporting the merit shop philosophy, supporting its members and supporting the industry. WHAT: the nation’s leading advocate for the merit shop construction industry with nearly 21,000 member firms and 70 chapters. Heritage Homes – Enjoy our journey. Love your livability.